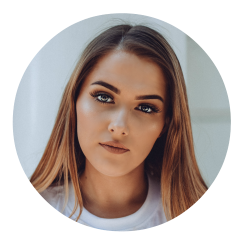 When we as makeup lovers think of baking, we think of a heavy amount of powder applied usually under the eyes, under the contour, down the centre of the nose to set makeup in place and brighten the area with ultra staying power? 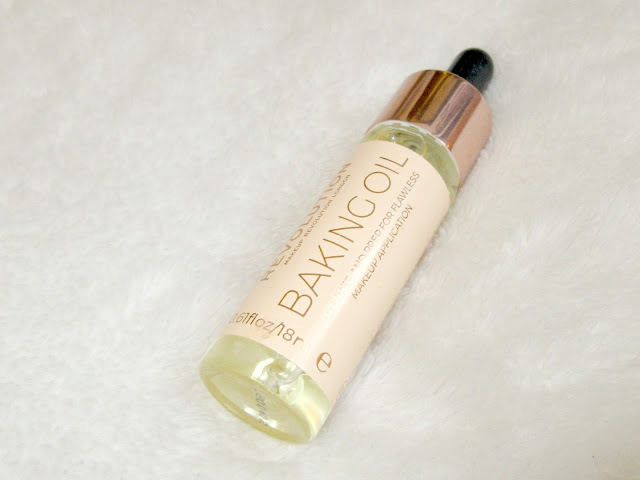 Well, I was strolling the aisles of Superdrug browsing makeup and seeing if there were any products I'd like to try out (you can catch my Superdrug haul here) and this 'baking oil' really caught my eye and it's safe to say I've never tried a product like it. On first impressions, it felt like a serum as I massaged it into my skin and went on incredibly smoothly, it didn't feel greasy on my skin either which I was best pleased about. I applied one of my favourite foundations over the top which is the Maybelline Superstay 24hour Foundation just how I usually would with my Real Techniques Miracle Complexion Sponge and it went on beautifully. Later on that evening, I went on a night out with drinking and dancing and my makeup stayed in tact the whole night so I definitely give this product a thumbs up! I've since tried this baking oil out with other foundations such as the Maybelline Fit Me Matte & Poreless Foundation and it's gone on well too, so overall really happy with it and for £6 you can't go wrong! Reading the Revolution Beauty website now, I can see it says part makeup and part skincare which proves interesting as it definitely felt nourishing on the skin, it's also vegan & cruelty free too which is very important - just because we want to try out makeup doesn't mean little animals do! I definitely recommend this unique primer and think it will definitely start off a trend of primers just like this one, if you've got dry skin too it will definitely help! You can buy the baking oil right here.